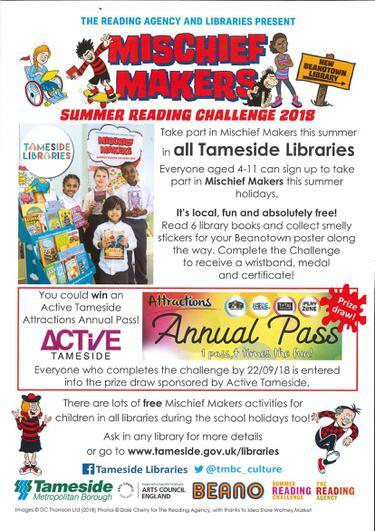 All Tameside Libraries are running the Summer Reading Challenge called Mishief Makers. This is a FREE activity and will help your child with their reading. Please see the attached poster for lots of information about the Challenge.